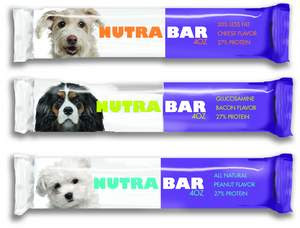 Nutri-Vet and Best Pet Health are giving you the chance to win Nutri-Vet products for your Labrador Retriever! Nutri-Vet offers a wide range of unique, veterinary formulated animal supplements and complementary external products that promote health and well being in dogs, cats and horses. 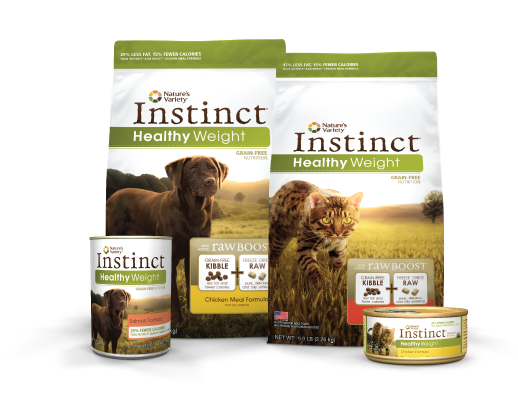 Sophisticated formulas combined with innovative delivery systems and high palatability profiles have positioned Nutri-Vet as the leading provider of natural animal products in North America. Enter the Nutri-Vet and Best Pet Health Monthly Giveaway for your chance to win $50 worth of Nutri-Vet products for your dog or cat (Nutri-Vet will pick Nutri-Vet products based on your pet's needs). The Nutri-Vet and Best Pet Health Monthly Giveaway ends August 31, 2013 and is open to the USA and Canada. 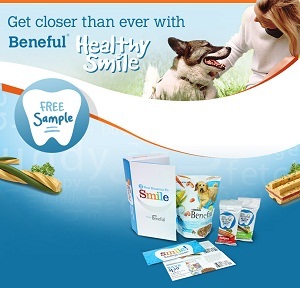 Beneful is offering a Free Sample pack of their Healthy Smile Adult Dog Food and Snacks. Our new dog food and treats can help keep your best buddy's smile happy and healthy. 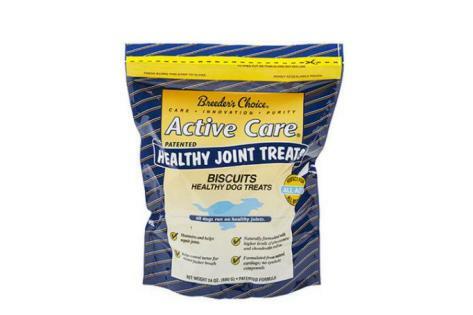 Try Beneful® Healthy Smile Adult Dog Food, and Dental Dog Treats in Twists or Ridges. 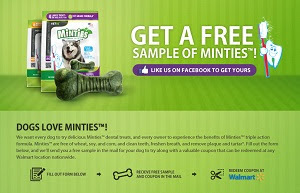 To get your Free Sample Pack of Beneful Healthy Smile Adult Dog Food and Snacks, “Like” the Beneful Facebook page and click on the “Coupons and Offers” tab. 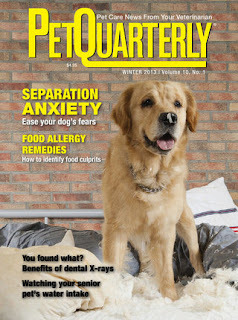 Inside the Pet Quarterly - Winter 2013 issue, you'll find an informative article on how to deal with separation anxiety in dogs. 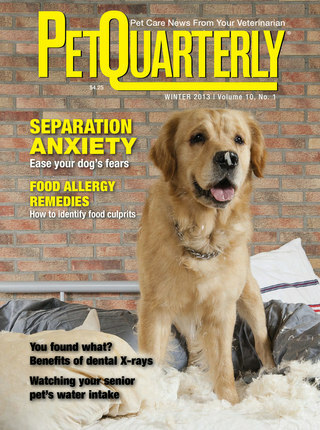 Written by Debra Horwitz, DVM, DACVB and Amy Pike DVM, the article provides help in easing your dog's distress if it is suffering from separation anxiety. Separation Anxiety is a distress response that dogs can experience when separated from familiar or favorite people, or if they are anxious about being home alone due to other fears or phobias." What are the common signs and symptoms of dog separation anxiety? Key points of canine separation anxiety. Behavior modification for dog separation anxiety. In the following video, Dr. Karen Becker of MercolaHealthyPets.com discusses the importance of coconut oil in your pet's diet. Coconut oil is one of the richest sources of medium chain triglycerides. It's a rich source of energy for your pets and it contains lauric acid, which is beneficial in terms of helping the immune system. Lauric acid is antiviral, antifungal and antibacterial and does a great job of helping to balance the immune system. Purina® is running a Deal-A-Day Giveaway where you have a a chance to win coupons for Free products every day. There are over 35,000 prizes, waiting to be won! Plus, just for registering, you'll be entered for a chance to win FREE Pet Food for a Year! 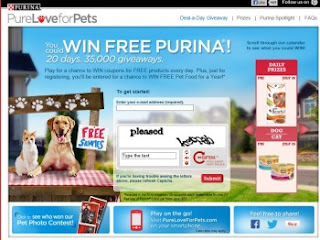 There will also be 15 Grand Prize winners who will each receive a one- (1-) year supply of Purina® brand Pet Food awarded in the form of twelve (12) coupons, each redeemable for one (1) free, up to $25.00, bag of Purina® brand Pet Food, any size, any variety. For those of you that also have cats, there are also cat food and treat prizes given away daily. 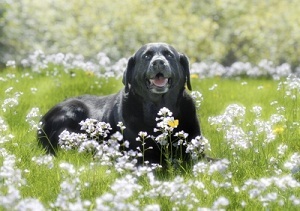 Allergies and our Labrador Retriever are very common and a big question sent in by our readers. As we come across information on dog allergies, we put it in a folder on our computer to read through and then share any new information with you guys. The following list contains a bunch of PDF files, that we have saved through the years. 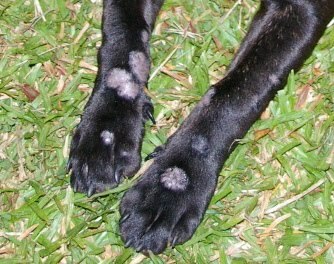 They contain some wonderful information in regards to dog allergies, that we thought we be helpful for our readers. 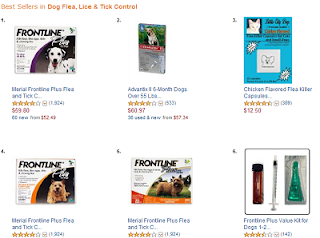 Under each dog allergy PDF are some of the topics included. What are the signs that a dog has allergies? 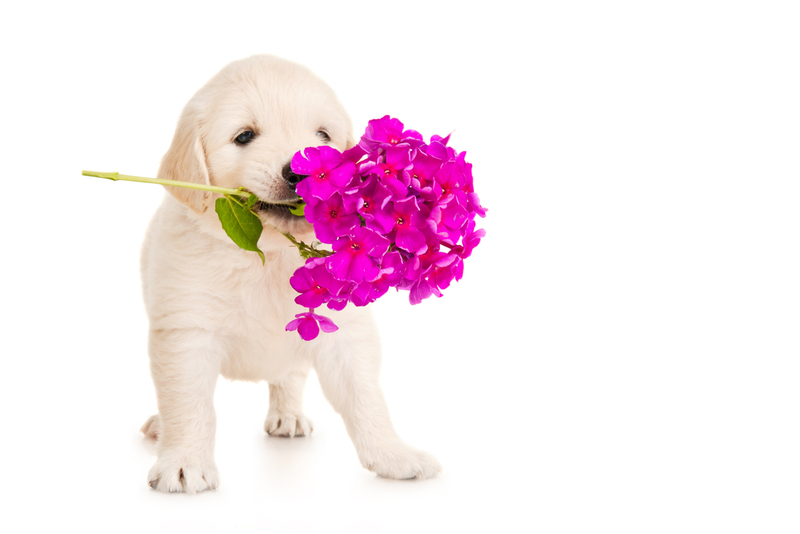 What can I do for my allergy dog at home? What about supplements for my dog? 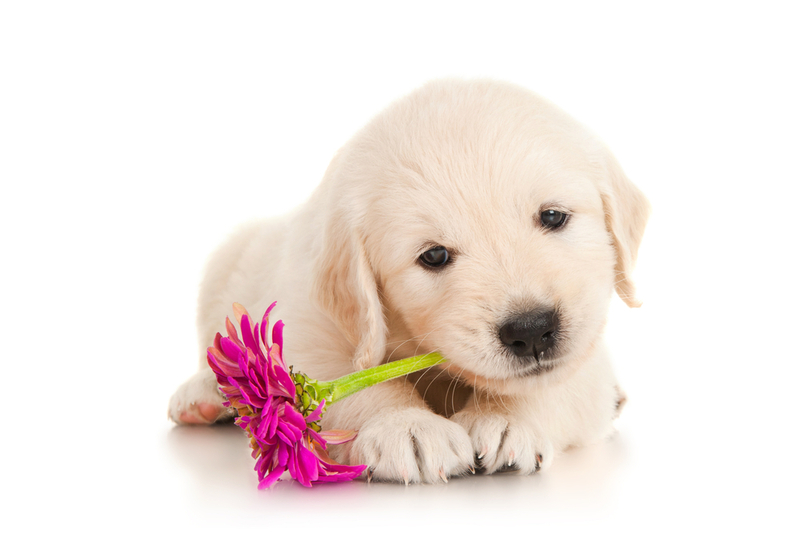 What are allergies and how do they affect dogs? Is there more than one type of allergy? I have been told that my dog is atopic. 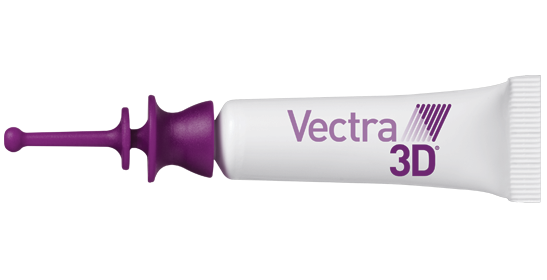 Is this the same as inhalant allergy? What exactly causes an inhalant allergy? What happens to the dog when this occurs? My dog only itches in the spring and I have been told she has a seasonal allergy. What does this mean? When my dog's allergies are bad, she seems to have a terrible smell. What causes this? Search For Clues In The "F-Places"
What exactly are dog allergies? Here's your chance to save some money when picking up after your lovable Labrador Retriever. 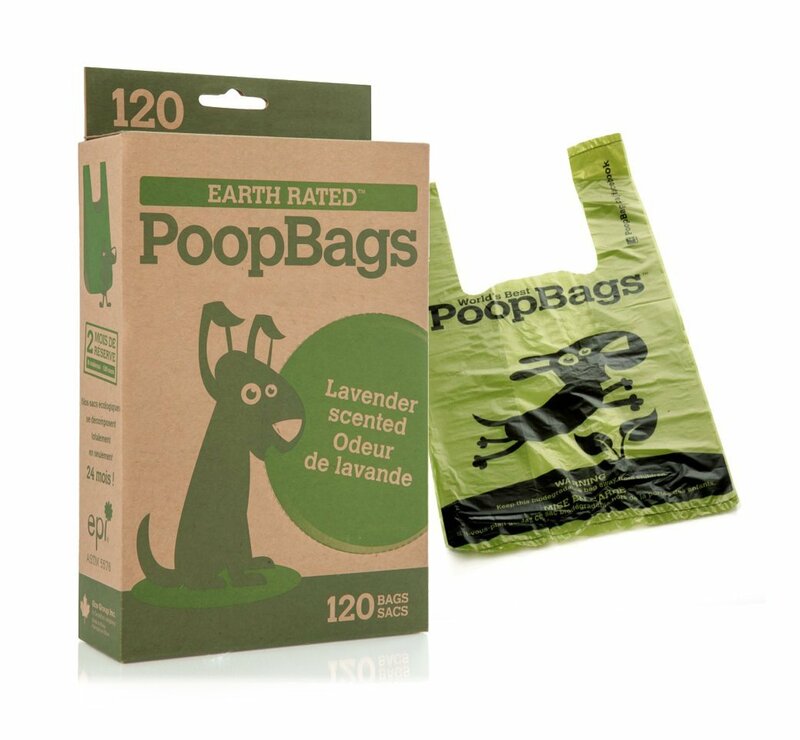 Right now you can score a deal on Earth Rated Dog Poop Bags with handles, as Amazon has them on sale. You’ll get a box of 120 bags for $6.29 (Reg: $9.99 reg). PoopBags was created to help care for the environment and to make picking up poop a little more fun - all while keeping your pocketbook happy. 120 bags with handles for easy-tie, not on rolls. Ultra wide 7 x 13 inches, so you or your sleeve never make unwanted contact. Big enough for a Great Dane's pile. Scented with lavender so you won't mind holding on until you properly dispose it. Extra-thick for a chore you can't mess around with. You can get the Earth Rated Dog Poop Bags and be eligible for free shipping on purchases over $25, or free 2-day shipping with no minimum, for those of you that are Amazon Prime members. For those of you that aren't members, you can signup for a Amazon Prime Free 30-Day Trial, where you'll get free 2-Day shipping with no minimum order size and other great benefits! 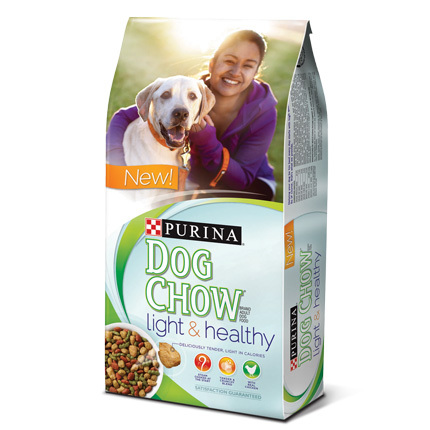 For a limited time, Purina is offering a Free Sample of their Dog Chow Light & Healthy Food. Crunchy and tender textures, with real chicken, help make it delicious. 22% fewer calories than Purina® Dog Chow® Complete & Balanced make it a calorie-light way to help your adult dog maintain a healthy weight. The following question was sent in by TJ, owner of a very adorable 19 month old, yellow Labrador Retriever named Nicki. TJ's writes in regards to cutting his Labrador Retriever's hair. The Labrador Retriever Hair Cut is always a popular one here at All About Labradors as the weather warms up. Thank you for being so generous with all these question. I have a great yellow lab, Nicki, a free gift in front of the local grocery store and love her dearly. She is 19 months old and I have be cutting her hair, pretty much every 4 months since we got her at 6 weeks old, is this totally wrong? The main reason for cutting her hair is to help in drying her off after swimming, we have a pool and she loves to swim and she’s a spoiled indoor dog (smile), I should also mention, not only the pool but don’t ever leave the door open in the bathroom when filling the bathtub. Keeping the hair short allows her to swim as much as she like and I can quickly dry her off, so she can come back in the house. We are cautious with the sun, she has never sun burned, the backyard is fully shaded. Is cutting the hair really bad for this breed? Hello TJ, thanks for your question and the wonderful photo of Nicki. This is a popular question that we get asked many times and our answer is always NO (unless needed for medical purposes). Labrador Retrievers owners believe that by cutting or shaving their dog it will keep them from shedding or keep them cooler in the warmer weather. The undercoat that they cut or shave actually helps to keep your Labrador Retriever cool and helps provide insulation from the heat and sun. What we do believe in is grooming thoroughly. I provided the answers to your question in a previous post on this blog that should provided the answers you seek: Does a Labrador Retriever need a Haircut. In the "Does a Labrador Retriever need a Haircut" post I refer to a tool called the Furminator. I've posted a review on that tool, which may also be of help: FURminator Dog deShedding Tool. Last but not least Woodhaven Labradors provides a wonderful article on Grooming Your Labrador Retriever. I hope this will be of help to you and if you have further questions, please don't hesitate to ask. Take care of yourself and Nicki. Can a Dog have Allergies? 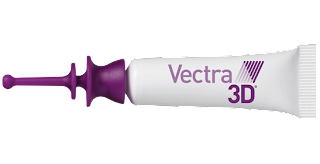 According to the Pet Allergy Worldwide Survey (PAWS) sponsored by Novartis Animal Health, 44 percent of pet owners are unaware that their pet can suffer from chronic seasonal allergies...Does your pet have seasonal allergies? Even the most vigilant pet owners happen upon the occasional accident and must be prepared to respond with proper care. By being prepared in advance of pet emergencies, we can do so much more to prevent a disastrous outcome. The following infographic, coutesy of 1800PetMeds, focuses on raising awareness for pet first aid facts and offers helpful tips for pet owners in the event of a pet emergency. You'll learn more about common call for pet first aid, poison/toxin ingestion, pet CPR, dangers on the road/household, assembling a complete first aid kit and more. Take a moment to review this infographic and help raise awareness of Pet First Aid by sharing what you learn with fellow pet owners. 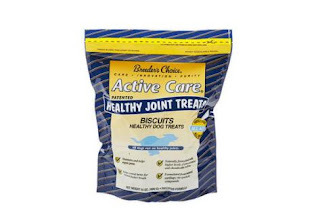 Breeder’s Choice, a Central Garden & Pet company, has issued a voluntary recall for a single batch of Active Care Biscuits-Healthy Dog Treats due to mold. Here is a very cool slow-motion video of 10 year old Anneli and 2 year old Cece. "First weekend that really felt like spring, so we took the 10-year-old and the 2-year-old out for some fun (giving me a chance to mess around with the new camera)." Watch as these two beautiful black Labrador Retrievers frolic in the snow and play fetch! "Just in time for National Pet ID Week (April 14-20), new technology makes it possible for a lost pet to be reunited with their owner-- by simply tapping a cell phone to the pet’s ID tag. 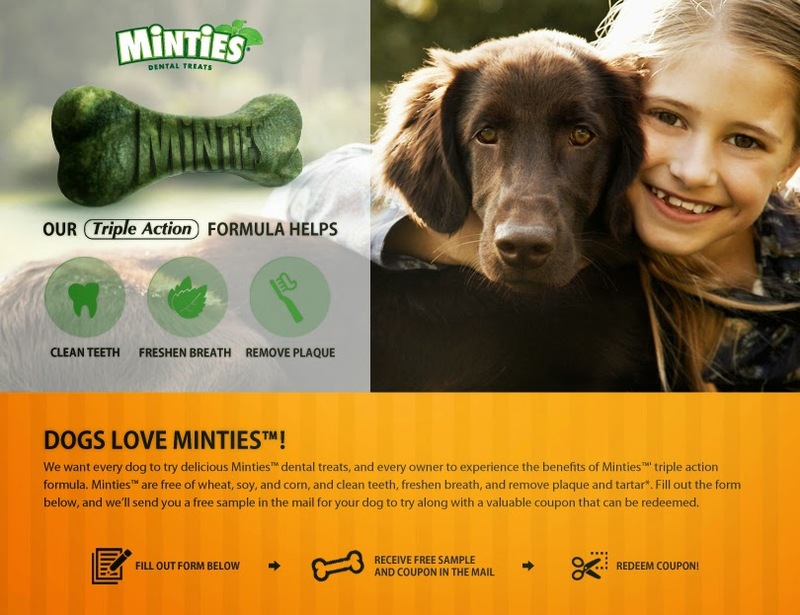 Near Field Communication (NFC) technology is now embedded into PetHub’s award-winning pet ID tags, which are already equipped with a unique QR code, web address and traditional toll-free phone number. The American Humane Association says that 1 out of 3 pets will be lost at some point during their lifetime and that only about 17 percent of lost dogs and two percent of lost cats will be returned to their original owners. 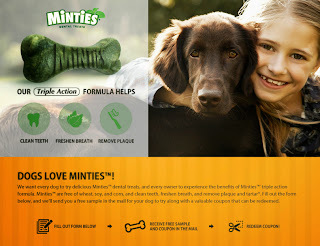 You can imagine how much pet owners will love this new tech-enabled pet ID tag!" Sending in a photo of your dog from a chance to win a $250.00 Petco gift card or other great prizes from SiritClips. It’s your turn to show how awesome your dog is in the Why Is Your Dog AWESOME Photo Contest. Send in a photo that proves your dog is a hero in your life by being loving, funny, mischievous, or just plain adorable. The Grand Prize winner in the Why Is Your Dog AWESOME Photo Contest will receive a $250 PetCo Gift Card. Five (5) 4th Prize Winners receive A Roku Streaming Video Player every week and all winners will receive a 1 year membership to SpiritClips from Hallmark. The Why Is Your Dog AWESOME Photo Contest is open to legal U.S. residents 18 years & older and ends April 26, 2013 @ 11:59 pm (PDT). 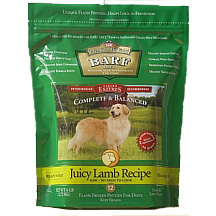 BARF World announced a voluntary recall of three of its products due to possible contamination with Salmonella bacteria. 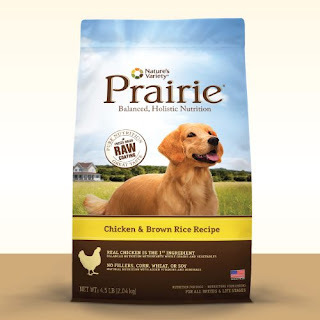 "While none of our products made that day have been tested and found positive for salmonella, our duty to you, your pets, and the rest of your family is to make sure we make every effort to keep you safe. 1-866-282-2273 Monday through Friday from 9:00am to 5:00 Pacific Standard Time or email your questions to ChrisHampson@barfworld.com.